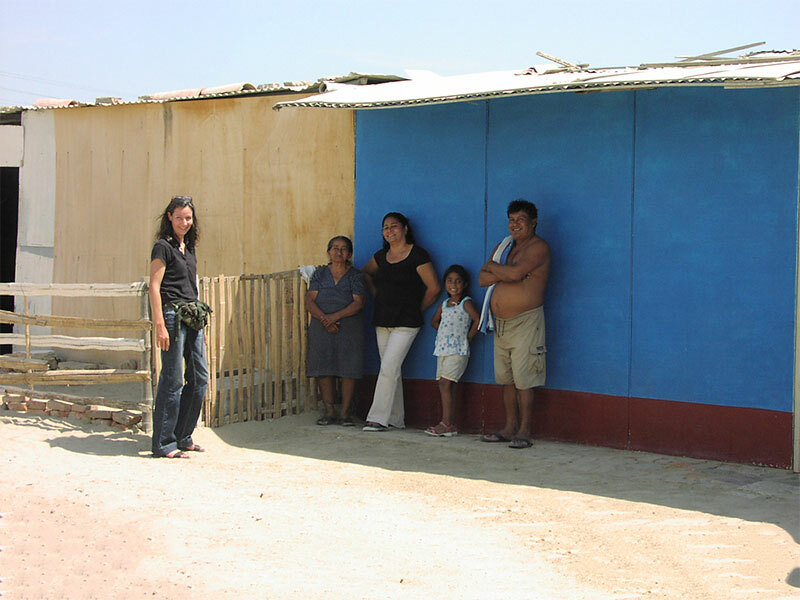 In the Piura region, many people live in makeshift huts with no running water or electricity. The scorching heat is unbearable. Almost all trees have been hacked down. The wood was used mainly as firewood for cooking and for building huts. Crime is rampant and even affects what is needed for people’s minimum necessities, like theft of wood and everything else. These people come to the cities for this purpose and cut down the last trees which are meant to provide the town with some greenery. 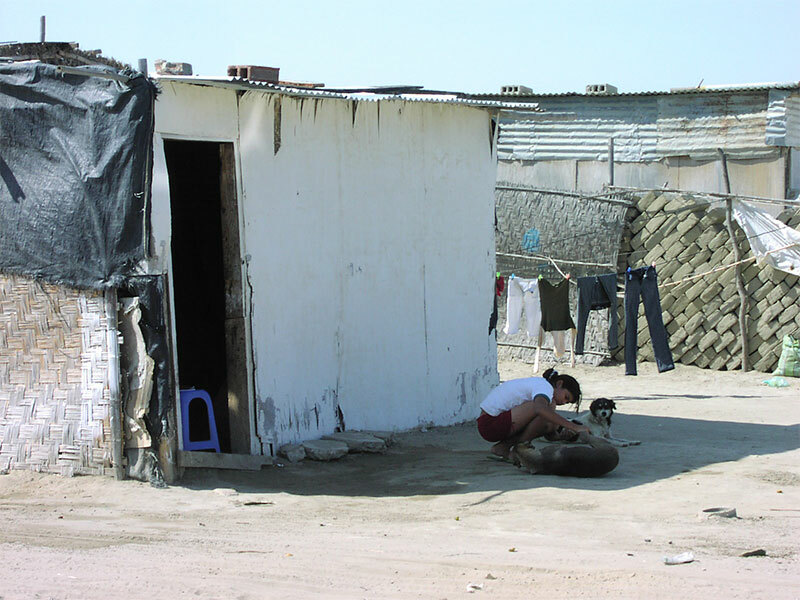 Under such circumstances: no sanitary facilities, living in crowded conditions closely packed with animals they use for their subsistence living, plagued by vermin and tropical infections, most of these people find work only as day laborers. The children have few opportunities in this environment. Due to poverty, many are forced to leave school prematurely to try to find jobs on the labor market. Alternatively, they need to help their parents working in the fields. The municipal government turns a blind eye to this deplorable situation. It has already done enough for the residents there by making the land available to them, free of charge. Promises are postponed year after year. “It’s been years since we were supposed to have gotten water and electricity; that promise was made nine years ago,” a man on location tells us. Even these people have recognized that poverty is not a matter of financial shortages, but of a lack of opportunities. 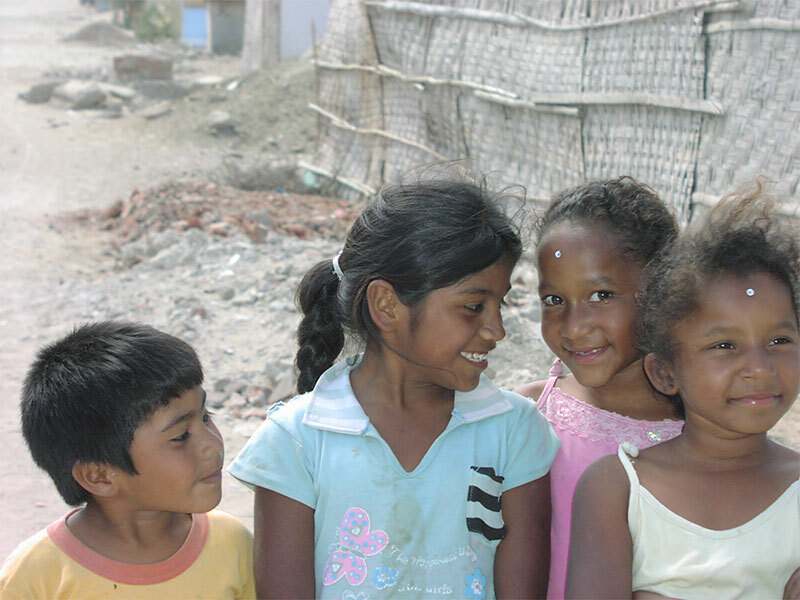 Our beneficial trees are meant to break the vicious circle of poverty, environmental degradation, and hunger. 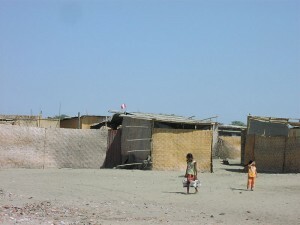 These kinds of settlements are called “Pueblos Jóvenes,” (“towns of the young”) and are inhabited by families from rural areas. The harvest of neem tree seed is like picking blackcurrants, only from a tree. Since the seeds have a germination capacity of only approx. six weeks, fast work is required and, due to the size of the region – approx. 50,000 km² (approx. 31,000 mi.2) – it is unfortunately impossible to simply distribute the seeds to the roughly one million impoverished inhabitants so that they could plant the seeds themselves. That is why we started a tree nursery so that it will soon be possible to plant a million trees annually, thus turning the idea into reality. The dream is to make this enterprise independent in about five years. Every tree counts – as an aid to self-help! Plan Verde has set a lofty goal which demands much effort and involvement, as well as time management and organized planning. It all started as a private initiative; now, more financial resources are needed to be able to launch the project fully. – and to train the resident population. One hundred percent of all donations received are invested directly into the project. The trees are given directly to the residents who plant them, with help, in the settlement area. At the same time, the people are given training and information on the trees’ care and use. The administrative outlay and Website maintenance are taken care of on a volunteer basis. We are convinced that through this shared commitment, remarkable things will be achieved.